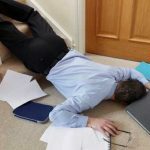 As an experienced Buffalo Slip and Fall Lawyer, I often get phone calls from clients who were hurt at their home from a dangerous condition created by an independent contractor that they have hired. Were you recently injured at your home because of the work of an independent contractor? If so, contact the experienced Buffalo Slip and Fall Lawyer Richard Nicotra. This educational legal video was brought to you by Richard Nicotra, an experienced Buffalo Slip and Fall Lawyer.